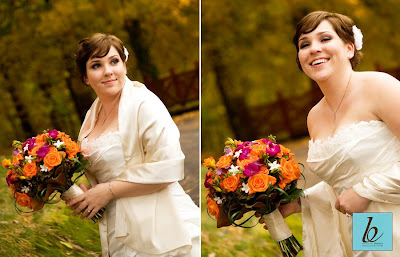 Burns Photography gave us these great images of Ali and Sam’s big day. 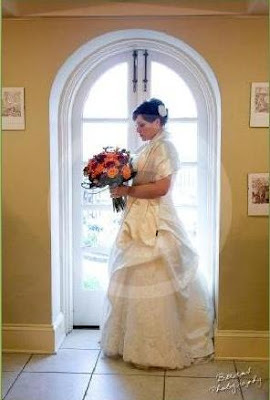 They had both their ceremony and reception at the Studio at St. Albans. Here are the awesome shots of the flowers. 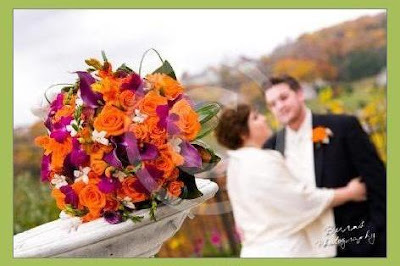 Ali’s bouquet was a mix of oranges and purples using mini calla lilies, fall hydrangea, dendrobium orchids, roses, magnolia leaves, looped lily grass, and white pearled stephanotis to accent. 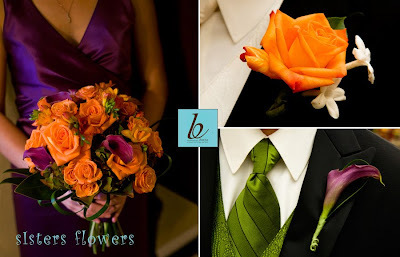 The groom’s boutonniere (upper right) was an orange rose with stephanotis to match the bride. 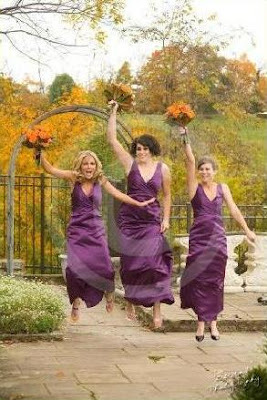 The bridesmaids’ bouquets (shown here) were a smaller version of the bridal, without the white. 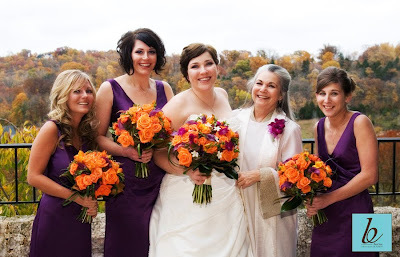 The groomsmen wore a purple mini calla lily to match the girls’ bouquets (lower right). 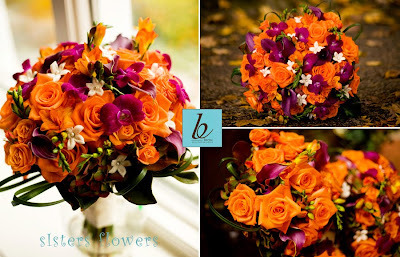 We loved the richness and warmth of these flowers, colors, and textures together! 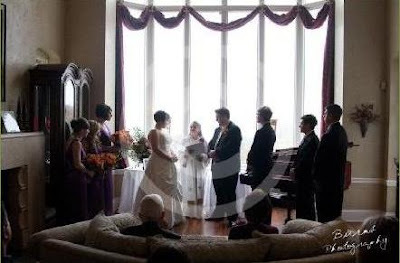 An intimate ceremony was held for close family and friends. 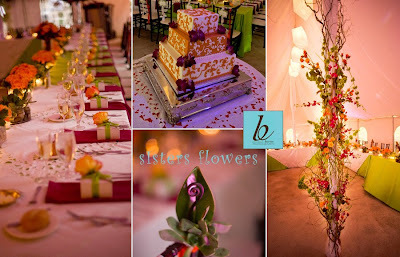 The reception was held in the tent with guests sitting at a large square table facing each other. 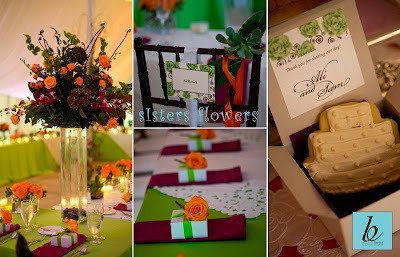 See the previous blog for more pictures of the reception and our set-up! What an awesome day for an awesome couple!! 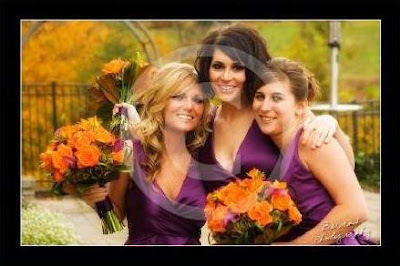 Special thanks to Shayna with St. Louis Wedding Consultants for putting together such a great event!